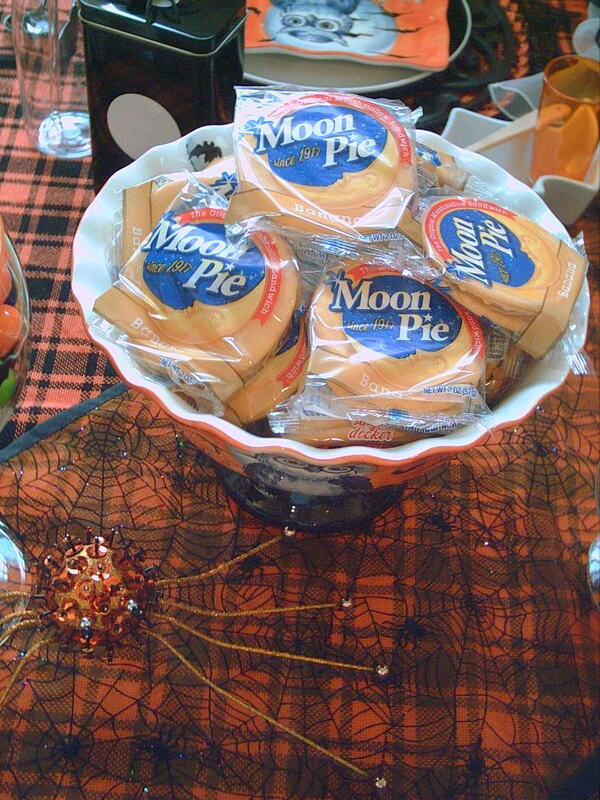 "why don't you put in your very favorite treat, Moon Pies". I said, "Perfect!" At each place I have set some metal tins. Purchased from IKEA last year. Each set came with 3 tins. 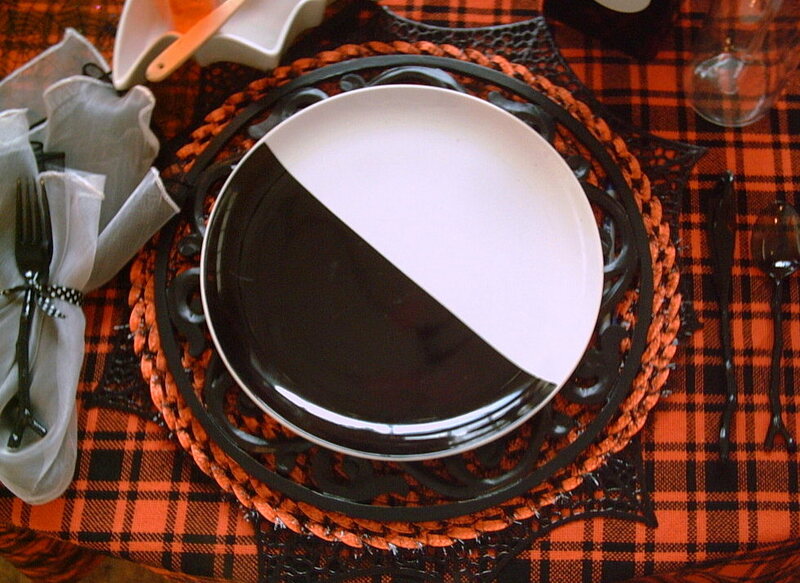 Each a different design but all had either black or orange. 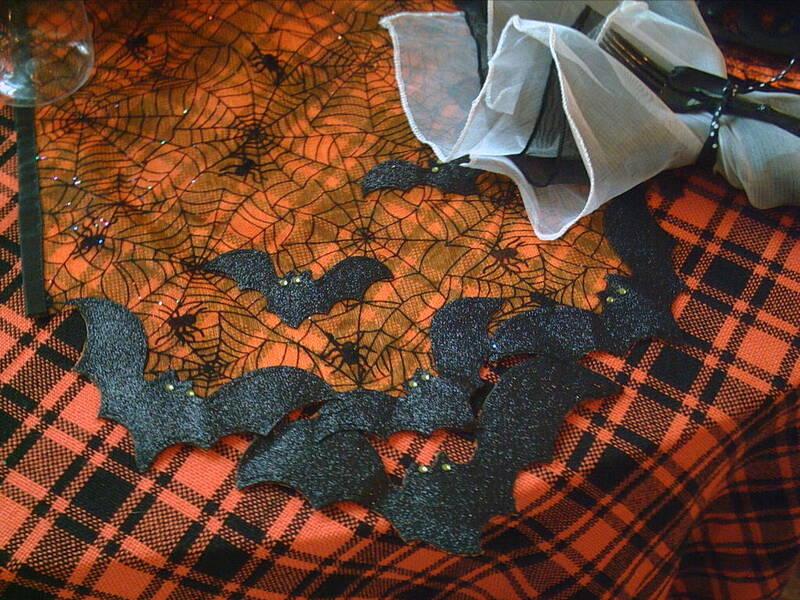 This one is the middle size and I thought the dots reminded me of the moon. They hold a little take home gift. 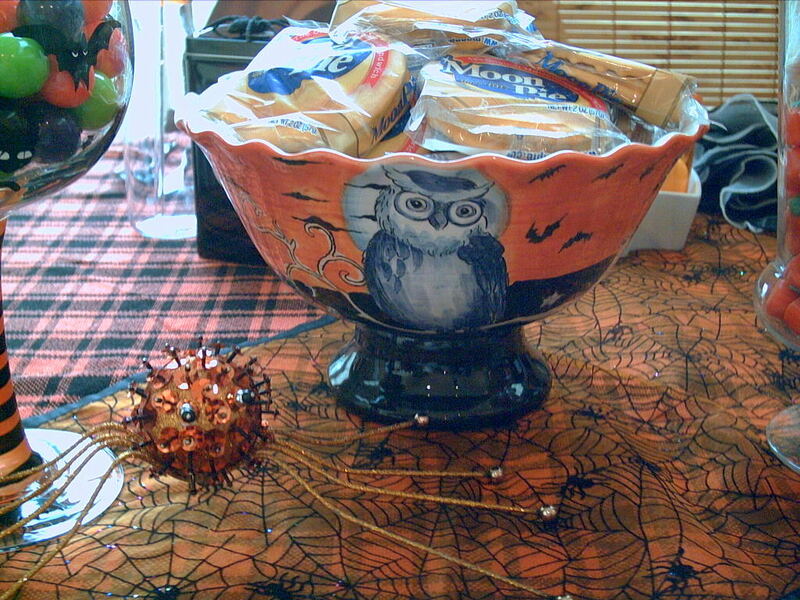 My Bat salad bowls from Crate & Barrel. I will be putting in some vegetables and in the double orange shot glass some dipping sauce. 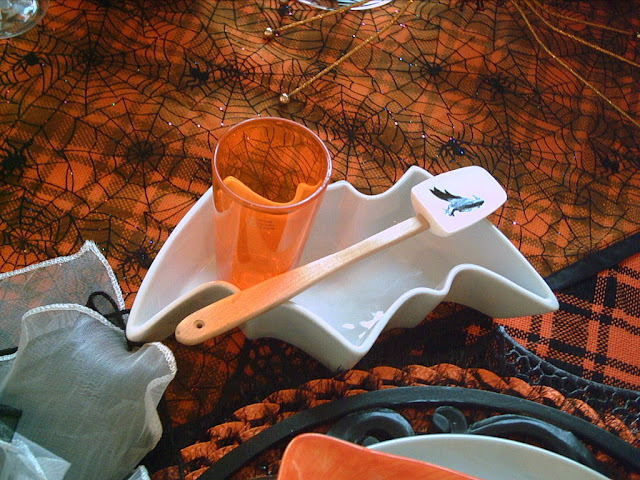 The little Bat spatulas can help scoop out the sauce if needed. The runner is from my favorite pharmace/gift/floral shop. 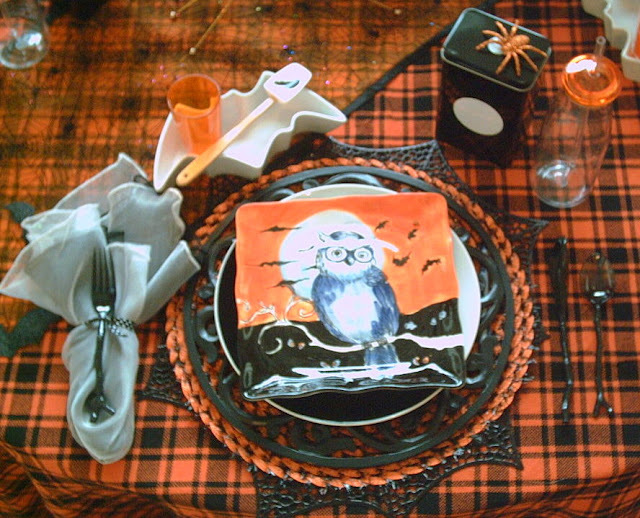 The burlap tablecloth was sold at a little floral/gift shop called Bloomingsales. The scoop I have had for awhile. I have seen them at the online Disney store and sometimes Home Goods. I wanted to show one plate in my plate stack. From IKEA. 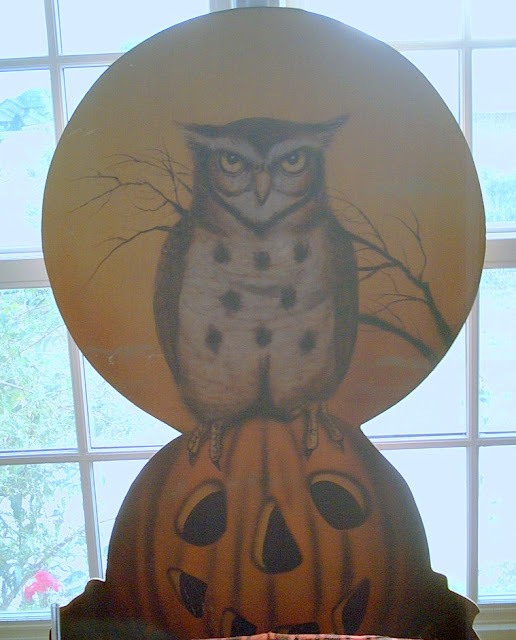 When placed under the Owl plate it looks like the moon is behind him. 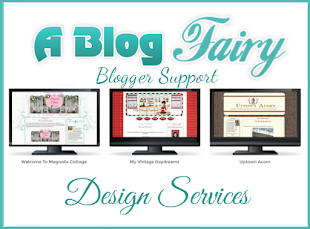 Thanks so much for checking out my latest Blog Post. Feel free to leave a comment below. 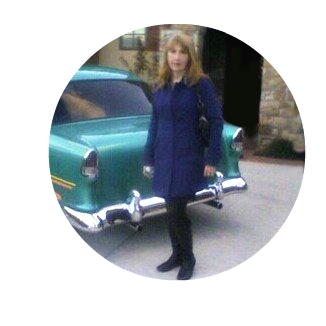 I appreciate you all for checking out my Blog. 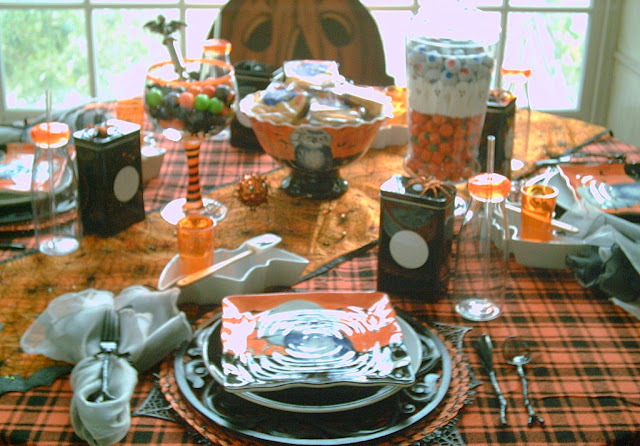 I will be posting this on Between Naps on the Porch for Tablescape Thursday. I love your stack of plates and charger(s)including the adorable square owl plate (and it's matching pedestal bowl with the moon pies). 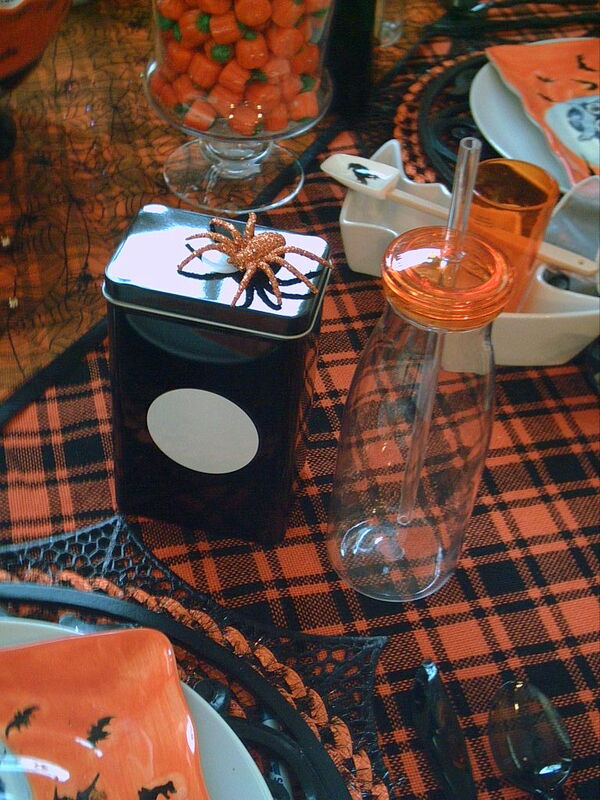 The plaid tablecloth is my favorite. 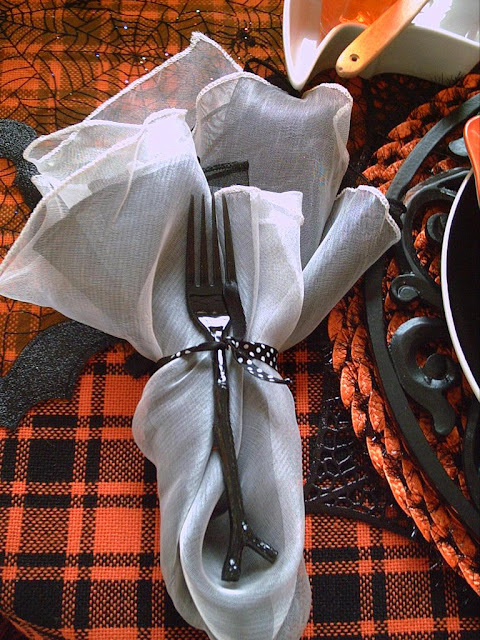 I never seem to find enough plaid tablecloths, especially one for Halloween. 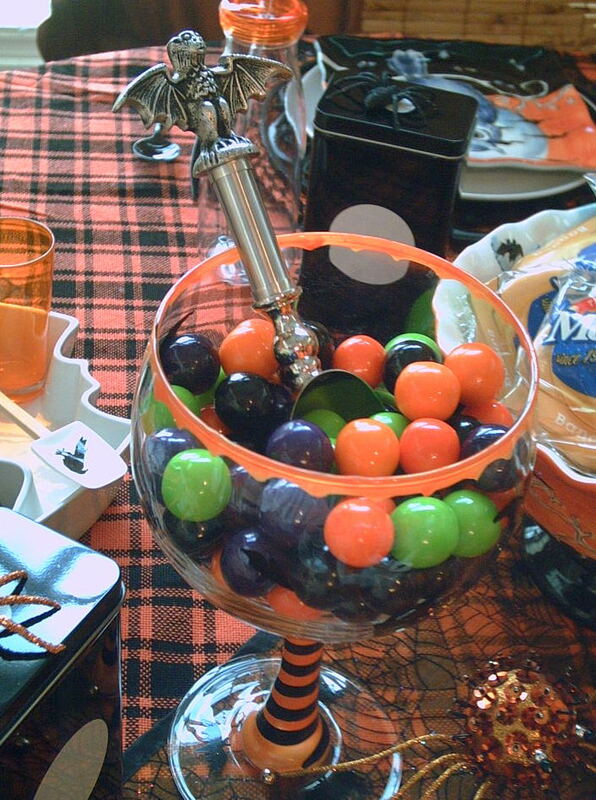 The candy pedestal bowl filled with candy is functional as well as a decorative piece too. 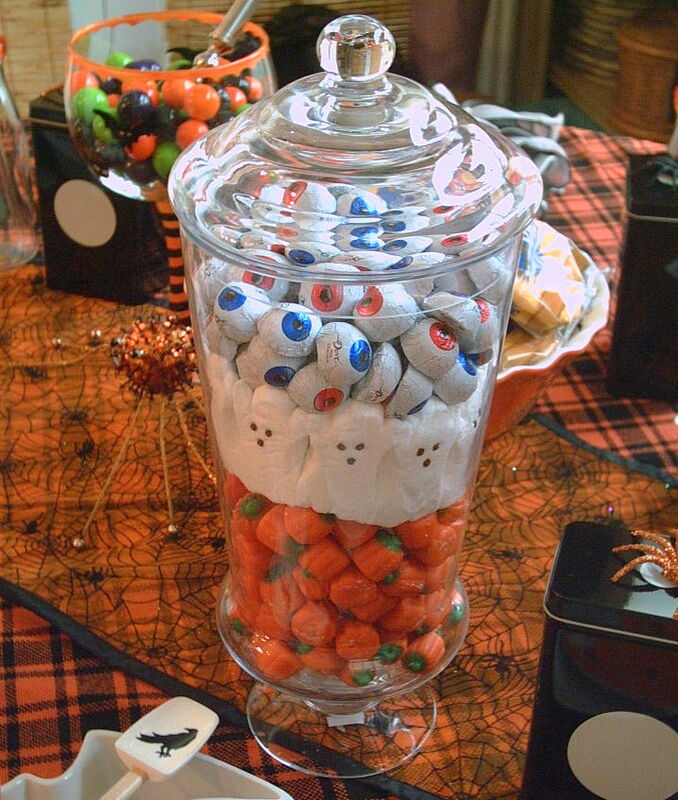 Great idea to layer the candy, including the ghost marshmallow peeps. I would find it hard to resist and would be sneaking pieces of candy. Yum. 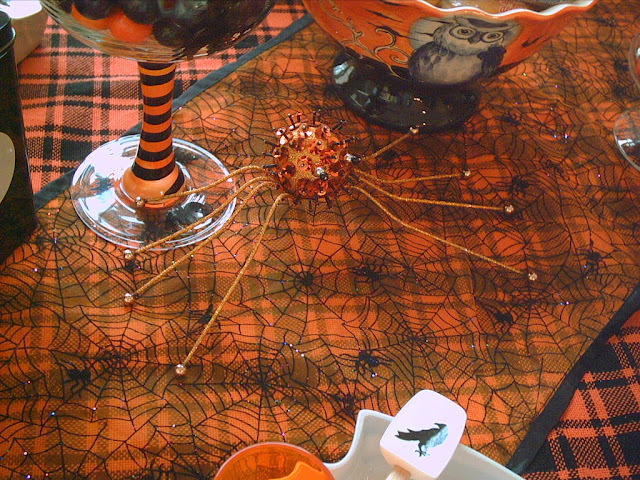 A haunting great table. What an amazing table! Once again, your attention to detail does not disappoint. 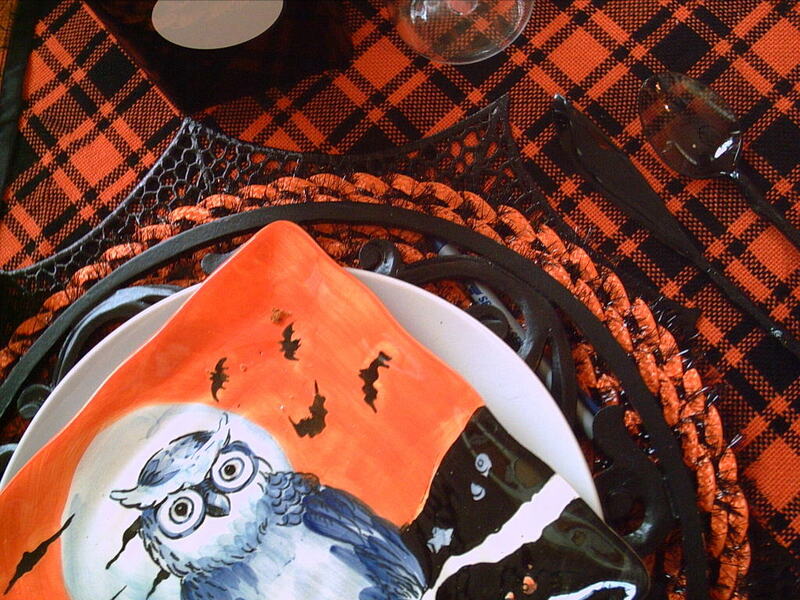 You really do have a lot that's perfect for a moonlit night tablescape. It's wonderful! 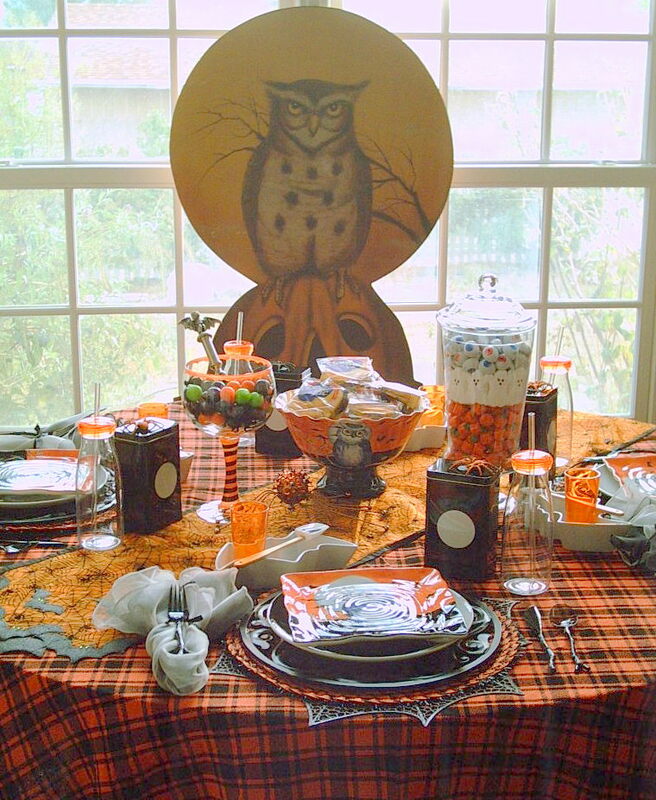 Very cute and whimsical tablescape Valerie. 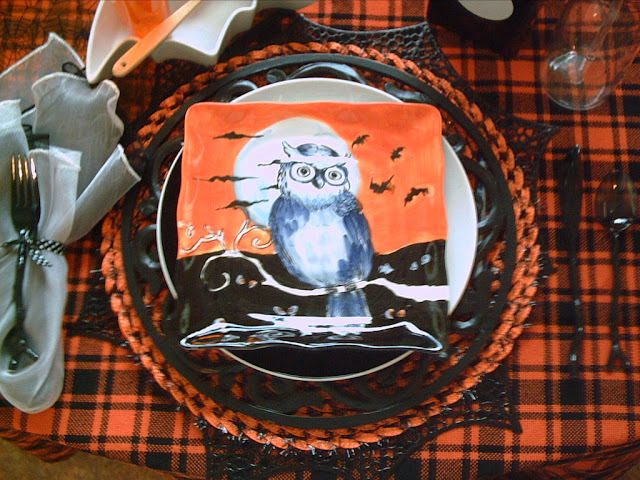 Love those owl plates. Very typical Halloween colors. It''s great to use what you have, mix and match to create a different look. The plate stack is lovely. Love your owl plates and bat bowls Valerie!! Super fun!! So many details and fun touches!